Ottery St Mary lies in the beautiful Otter Valley, a few miles from the Jurassic Coast of East Devon and Dorset and about eleven miles from the city of Exeter. It is the centre of a number of small communities, such as Alfington, Aylesbeare, Talaton, Whimple and Wiggaton to name but a few. Ottery St. Mary is a perfect base from which to visit these old villages with their ancient churches and thatched cottages. There is also plenty of glorious scenery to be enjoyed from the South West Coastal Path in addition to many of the local seaside resorts. Ottery St. Mary is one of the oldest towns in Devon. The parish bounds were fixed by Edward the Confessor in 1061. The streets are narrow and winding, and the town has many examples of fine Georgian buildings. The magnificent collegiate church of St Mary is set on a hill overlooking the town. The church was built in 1342, on the lines of the Cathedral. The “Dorset” aisle was added around 1520 and there have been no additions since then, although most of the peripheral buildings have disappeared long ago. The church is one of the finest parish churches of England and certainly worth a visit to see the medieval tombs of a crusader and his wife, corbels in the shape of an owl and in the shape of an elephant with human ears, a globe mounted with an heraldic eagle, an angel sounding a golden trumpet and an astronomical clock with rotating sun, moon and stars and a carillon which sounds the hours. There is also a fine ring of bells and a rare weathercock. 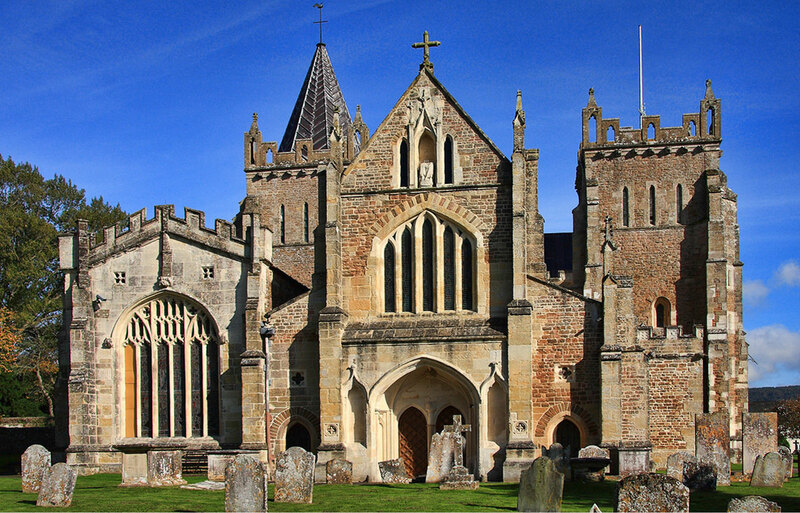 At the time of the Civil War, Ottery St. Mary was the headquarters of the King’s troops in the South West. Later, in 1688, William of Orange dined here on his way to London to claim the throne from James I. A circular weir in the town is known as the Tumbling Weir. It allows water from a leat or man-made stream to reach the River Otter. The water enters through a circular opening at the top and cascades down some more smaller rings until it reaches a culvert which enters a tunnel beneath the nearby path before sluicing down to the river. 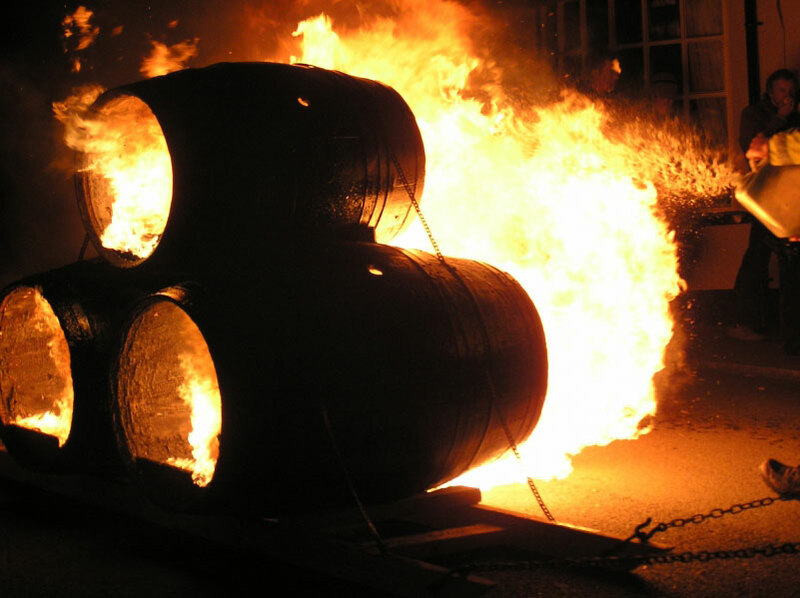 There are various local festivals held in Ottery St Mary, including Guy Fawkes Night, when flaming tar barrels are carried through the town. Another traditional event is Pixie Day which takes place annually on a Saturday in June. The day commemorates the age old legend of infamous pixies, who had caused havoc in the town, being banished to the local caves known as Pixies’ Parlour. Celebrations take place in the Land of Canaan Park and include attractions such as coconut shies, raffles, fire engine displays, pet shows and stalls selling locally made produce. At 6 pm hundreds of pixies, played by local Cubs and Brownies dressed in appropriate costume, capture the church bell ringers and drag them from the church to the square, where a re-enactment of the pixies’ banishment then takes place. The climax of the evening back is a firework display in the Land of Canaan Park. The most famous son of the town is the poet Samuel Taylor Coleridge who was born in Ottery St. Mary on 21st October 1772 and spent much of his childhood here. It is believed that Samuel may have been born in The Vicars’ House but this is not known for certain. Another author, William Makepeace Thackeray included the town, under the name Clavering St. Mary in his novel “Pendennis”. Even the Harry Potter books feature the town as Ottery St Catchpole! Not far from Ottery St Mary is Cadhay House, a Tudor manor house later redeveloped in the Georgian style. Although it had been allowed to fall into disrepair at one time, Cadhay House was restored to its full grandeur in 1909. It is a stone courtyard house set in a charming listed garden which includes herbaceous borders, yew hedges and medieval fish ponds.